This fall we’re celebrating the joy of first publication with fourteen poets who have never before had their poems appear in print or online. 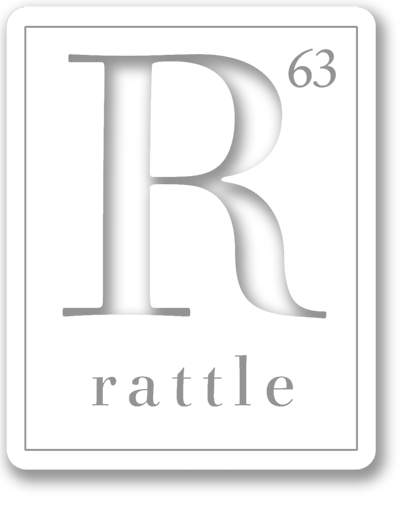 Rattle has always been a testament to the fact that publishing histories do not matter—powerful poems lurk inside all of us—and this issue highlights that truth. Culled from over 1,000 submissions, these standout poets are starting what we expect to be long careers in literature. The issue is also the breakout party for Marvin Artis, a previously unpublished lawyer in New York City who has enough brilliant poems hidden away to fill up a book. We’re publishing four of them in this issue, and Alan C. Fox visited with him for a conversation to learn more. Also in this issue, an especially deep open section draws on love, death, and life in a hot dog factory. Featuring two poems each from Heather Bell, Kim Bridgford, James Valvis, and Roberty Wrigley, plus two Francesca Bell translations of German poet Max Sessner—this is the most poems we’ve ever published in a quarterly issue—47 of them.